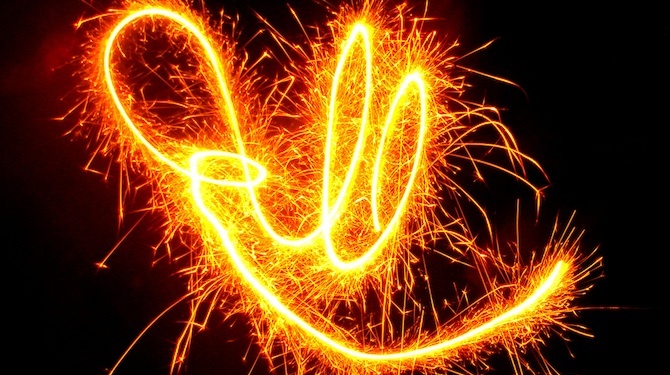 ManageWP Support Performance in Numbers — Are We Keeping You Happy? Here at ManageWP we take support very seriously. As far as we are concerned, the ManageWP service is only as good as the human network that supports it. We are constantly striving to ensure that if a user does run into trouble, their issue is promptly resolved to a great level of satisfaction. One of the ways in which we can improve our service is to hold ourselves publicly accountable to it. If we can demonstrate to you how high we hold our standards and assure that we intend to meet or exceed those standards in the future, we are all the more incentivized to ensure that we fulfil our promise. With that said, in this post I want to give you an exclusive look at how our support team are performing in quantifiable terms. We receive on average just under 26 support tickets per day. How well are we handling them? 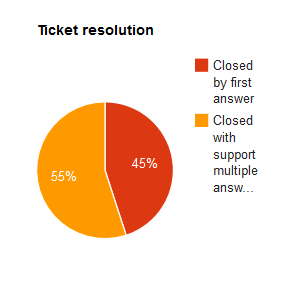 Let’s start with what perhaps the key number: “first answer resolution.” As you can no doubt figure out for yourself, this measures the percentage of support tickets that are resolved by our first answer. This is a vitally important metric to us as it is a direct measure of how quickly a support issue is resolved. We are pretty proud of this number given the huge breadth of functionality offered by the ManageWP service, not to mention the fact that we are dealing with endless combinations of WordPress website and server setups. 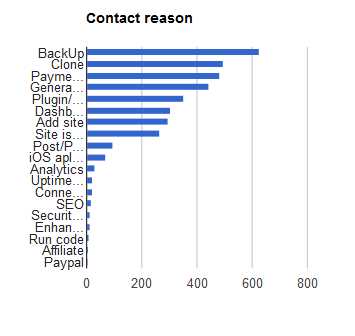 The second most important number to us is response time — i.e. how quick we are in responding to your support ticket. We know and appreciate that our users want (and deserve) quick gratification which is why it is so encouraging to me that it takes (on average) just 36 minutes to get a response from our support team. Not only that but if you factor in working hours it takes just 24 minutes! Furthermore, 59% of support tickets are responded to within 15 minutes. To go back to resolution for a moment, I can tell you that it takes (on average) 3.19 replies to resolve a support issue. So if you aren’t one of the third that has their issue resolved by our first answer, you can expect for it to be resolved shortly thereafter — especially considering our fast response time. Although we’re certainly proud of the numbers above, they should be put in context to give you a good idea of how they stack up against typical support statistics. We can do this with thanks to our friends over at WooThemes who recently did a post just like this. In that post they referred to industry standards courtesy of Zendesk — an online support ticket system used by over 25,000 companies. The key number in our opinion is time to first reply — in an era where we all expect instant results, the speed at which we respond to support requests is of paramount importance. As I said above it takes on average just 36 minutes for us to respond, which compares very favourably with an industry average of 20 hours according to Zendesk data! However, that does not mean that we will rest on our laurels — we intend to work hard in maintaining and perhaps even improving that response time. You know what’s even better than a top notch support team? A top notch support team that is made redundant by a lack of support issues. This is of course impossible in reality — there are too many variables at play — but we can always strive for perfection to better ourselves. That is why it is so awesome that just 5.3% of ManageWP users actually require support — close to 100% of our users have never actually asked for support. So the chances of you actually getting stuck with an issue are minute, and if you do hit a problem you can expect for it to be resolved in double-quick time! These issues are typically down to an issue on the server side (i.e. not with the ManageWP tool) and although this is something that we can try to help with, it is outside of our control. This points to the logical conclusion that there are even less ManageWP-related problems running through our support system than one might initially think. Numbers are one thing but you can get carried away with them — we would love to read your thoughts too. If you have dealt with the ManageWP support system we would love to know how your experience went and if there is anything we can do to improve our service in the future. Please fire away in the comments section below! Congratulations on not only an excellent product, but on your excellent support!